How to customize Lead source labels? To add or change existing Lead source labels follow the steps below. 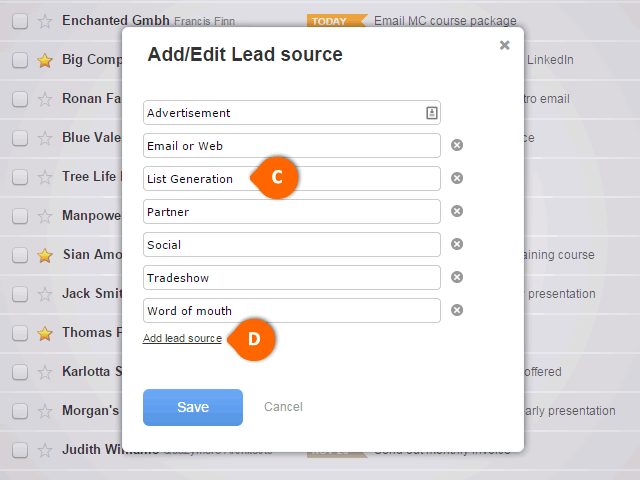 Only the account owner has the ability to create and edit lead source fields. 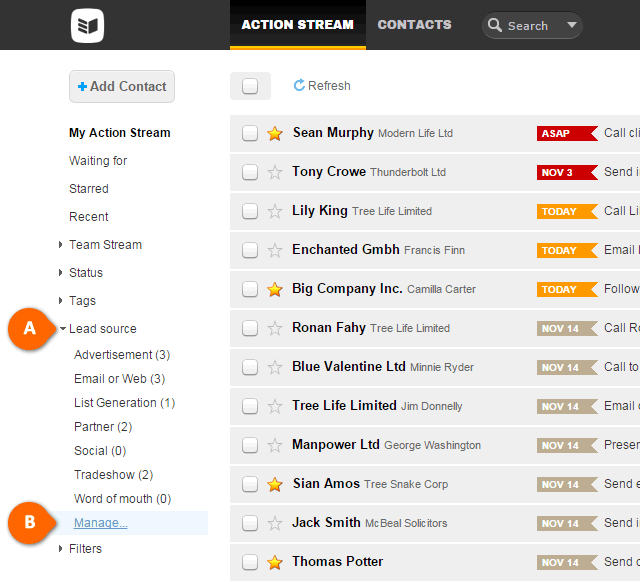 Open Lead Source (see A) menu in the left column and click Manage... (see B). Edit the names of the existing Lead sources (see C). Click on Add lead source to create a new lead source label (see D). Remove a Lead source by clicking on the x at the right.